This is an article from guest blogger William J. Kuennen, MSW, Program Director, Back on My Feet Washington, DC, a national for-purpose 501(c)3 organization that uses running to help those experiencing homelessness change the way they see themselves so they can make real change in their lives that results in employment and independent living. GFTH has partnered with BOMFDC over the last several years to provide essential new clothing to their runners and they have been a terrific supporter of our annual Used Clothing Drive. This coming Friday, December 5th, Back on My Feet Staff, volunteers, and members will join Gifts for the Homeless at the annual clothing drive. We are excited to once again volunteer for this awesome cause to aid the hundreds of homeless families in DC. This is my 3rd year volunteering and my favorite aspect of this opportunity is the ability for our program members to give back. You see, the members of our program who will be volunteering are homeless themselves. Despite having very little, our members routinely come out to volunteer at events and have always enjoyed volunteering with Gifts for the Homeless. Many members have expressed how great they feel to be able to give back to the community and how volunteering offers them a better understanding of the commitment and effort our own volunteers provide for them. Our members are working hard in the Back on My Feet program and through the program are beginning to feel more and more self worth. 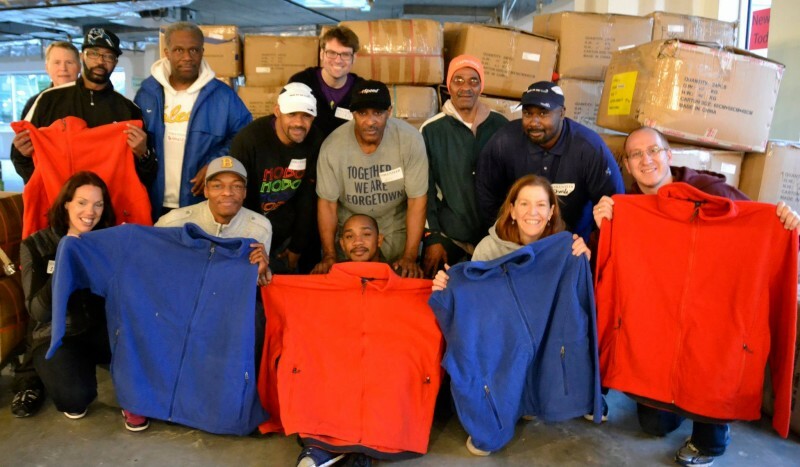 The clothing drive with Gifts for The Homeless allows our members to further add to their personal growth by allowing them a unique experience to join the multitude of other volunteers to give back to those in need. Thank you Gifts for The Homeless for the opportunity to provide our members with an amazing experience to further their growth towards getting back on their feet!